The BENETEAU adventure began more than a century ago on the quays of Croix-de-Vie in Vendée. 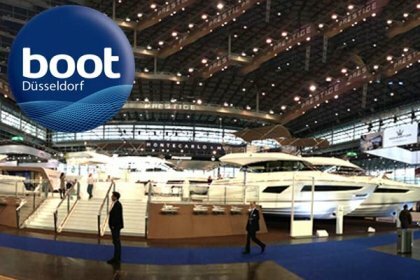 For 120 years, the core of the Boatyard's profession has been innovation and a passion for yachting. From the first sardine boat to the latest Gran Turismo, from the shipbuilding tradition to more advanced technologies, their expertise has grown. 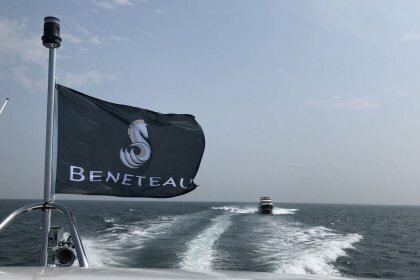 However, it is still the pioneering spirit of Benjamin Bénéteau that is the driving force behind Beneteau's 2,500 co-workers. 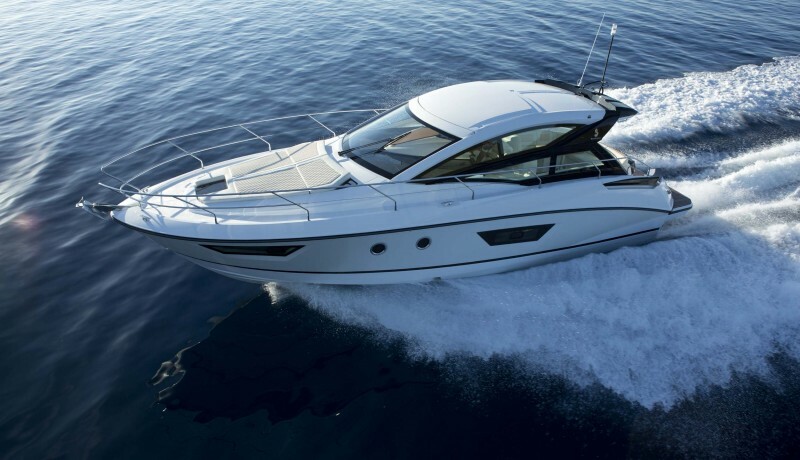 Today, more than 36 000 BENETEAU power boats have sailed the seas of the globe. 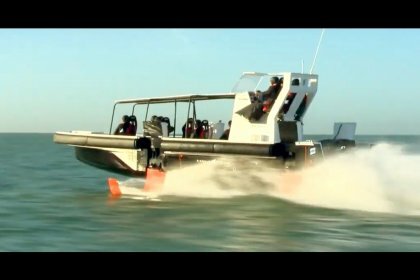 Steering them, their keen and demanding owners, with whom we share the same values of performance, modernity, safety and respect. 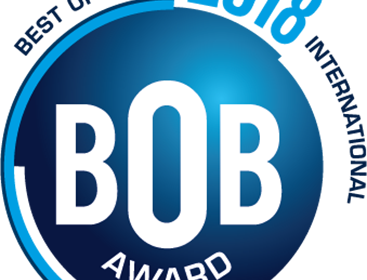 Swift Trawler 35 picks up a 2018 BOB award!! 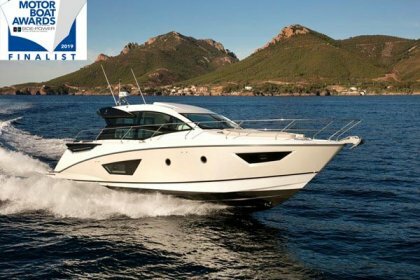 Brand new Beneteau Gran Turismo 40 for sale with full warranty, 2019 specification and a with the possibility of immediate delivery. 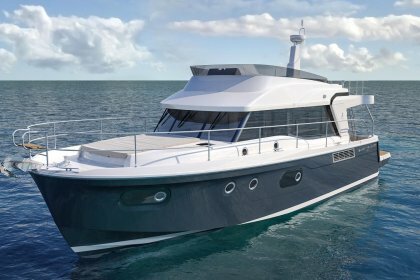 Swift Trawler - this safe, comfortable, and smart cruising yacht has every chance of winning the “Best for Travel" category. 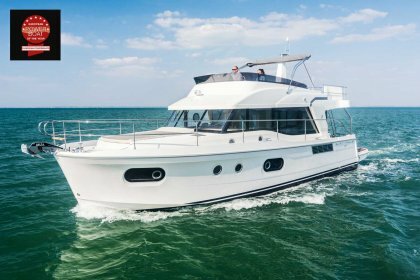 European Powerboat Awards – 45ft and above..
Ancasta are proud to announce that the recently launched Beneteau Swift Trawler 47 has been nominated for Best in Class for the 45ft and above category at the European Powerboat Awards. 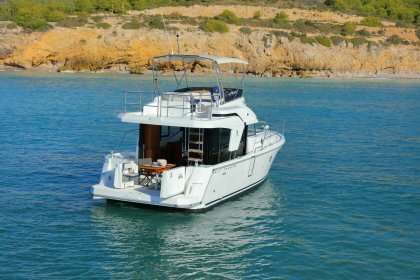 The new Swift Trawler 47 is as distinctive as ever and she is the ideal boat for boating with family and friends. 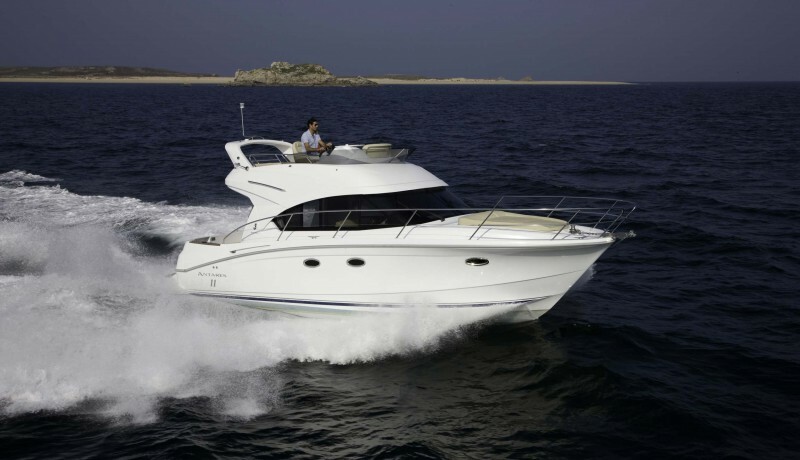 With greater room, cruising range and power. 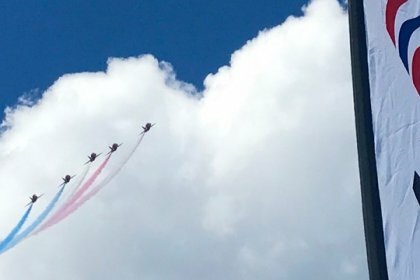 In contrast to 2016, this year's Swift Trawler Rendezvous event was bathed in sunshine and calm waters allowing all the boats involved to enjoy a visit to the Bournemouth Air Festival in Christchurch. Thank you so much for the lovely photos. - now circulated to all the family. What a day !Am punch drunk with information overload. Many Many thanks for the fantastic champagne and glasses. Have put the flowers in the stern locker in a bucket to save them for Dickie on Arrival to St Mawes on Sunday.Thanks to all for a very special day in particular thanks to Jez - what a star - has the patience of a saint.Thanks Lee for making the effort to come all the way from St AgnesI really appreciated your supportHope you're back home safe and sound.Am back in my local - Bannana Wharf for a few scoops and taking in the atmosphereWhat a day - Never to be forgotten !! We are the new owners of DarkSide, a Beneteau Swift Trawler 44.I asked Nick Hatfield for your contact details as I wanted to let you know how pleased both Vicki and I were with our recent experience in the purchase of our new Boat.Our first contact with Ancasta was with Kevin Macdonald at the Southampton Boat Show last September and from the outset he proved to be an excellent ambassador for both Beneteau and Ancasta. 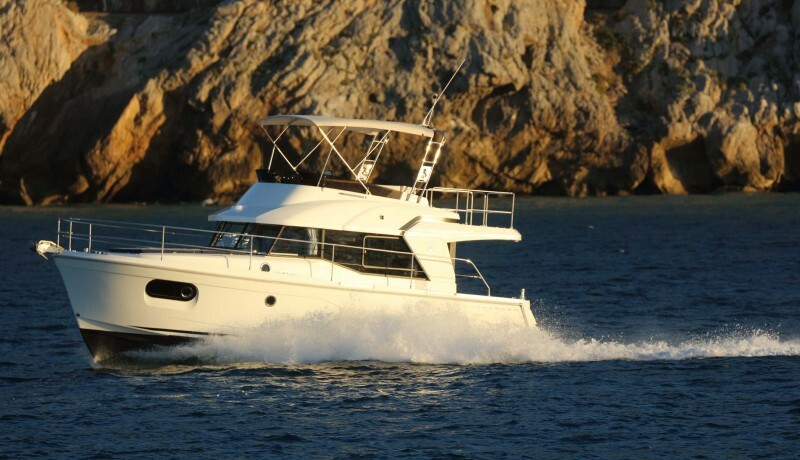 We were at first hesitant 'new boat' purchasers but nothing was too much trouble for him and he patiently and knowledgeably guided us in our decision making. We have bought boats in the past and always felt we were being 'sold to'. In addition many brokers see their role finished once the purchase has been agreed. Neither was not the case with Kevin and we feel we now have a Trawler 'expert' that we can call on in the future. And thoroughly recommend!We should also add that Nick Hatfield provided first class support when problems arose or wheels needed oiling. Again a credit to Ancasta.Finally our thanks must go to the commissioning team ably led by Simon Miles and Judy Fisk of New Boat Administration. We felt that we had to acknowledge the excellent service we received from you on the handover of Jenny. As you know, we have bought 3 boats from you now and this handover surpassed any other handover we have had. Jez on boat handover and sea trials, Simon the Cummins engineer and JD, giving us a handover on the Raymarine plotter etc were all most informative and went into great detail to ensure that we were up to speed on everything we needed to know. Thanks to them all.Nick, it was good to meet you and your professionalism stood out. Simon....well what can I say, you don’t change and it was a real pleasure to see you again........I will let you know how those anodes hold up without the Galvanic Isolator !!! Esta, my thanks for all the “little touches” and dealing with everything and also for dealing with my last minute requests....and also the photograph. Sorry we didn’t see Judy before we left, but as usual, perfect efficiency. Frederique...it was good to see you again and I hope I don’t need to contact you in the future, on a business basis of course! It goes without saying that all of you were most professional and very kind and we could not fault the day at all. Thank you for lunch and the very thoughtful and kind gifts you gave us.As for Jenny........well what can I say. I am most impressed with her and my most sincere thanks have to go to Rob who took the time (and patience) to sell me Jenny and to come down to Dartmouth with me. He gave me the utmost confidence (which as you know is something I needed) and I only wish that I had gone over to the Swift Trawler before now. She is a truly impressive boat. (Rob, you left your life jacket on board and I have given it to the Marina Office to give to Kevin today. If you need me to send it on elsewhere let me know and I will collect and send on. )Our very best wishes to you all and thanks once again. 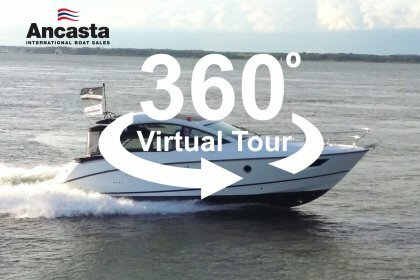 We just wanted to thank you and all the Ancasta Team, for a fantastic day on Friday when we took delivery of our boat Holly Shai.We enjoyed the day and the whole Experience of buying our boat with Ancasta from the Southampton boat show to handover.The level of service and attention to detail from the whole team has been excellent, far better that we were expecting.The personal touches added to the boat, Towels, Robes, Flowers etc were very much appreciated.We look forward to many hours of cruising on board.